T/4 John T. Loftis, son of W.B. Loftis, attended Weaver High School; husband of the former Beth Wearmouth. 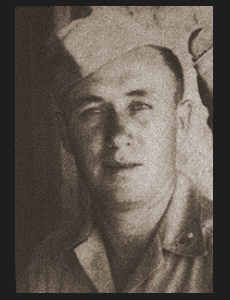 Entered Army in 1942, trained in Camp Crowder, Mo. ; served in China, Burma and India; was discharged. Awarded Pres. Unit Citation, Bronze Star.